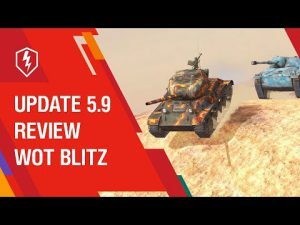 More detail about update WOT Blitz 4.0 | WoT Blitz 5.9 - Fan Site! 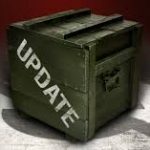 Summer is here and so is World of Tanks Blitz with update 4.0. 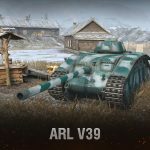 Players will discover rating battles, a new branch of French tank destroyers, rebalanced vehicles, and a redesigned map, as well as bonus containers. Here are all the detail. 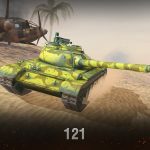 Rating battles are a new battles type where players will face worthy opponents. The first season is a pilot season. Developers want to know players’ opinions to make rating battles even more interesting. 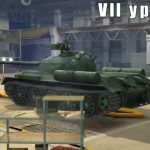 Only Tier IX and X vehicle can participate. After the first battle, the player’s rating is calculated. Then the matchmaker forms teams from players with the nearest rating. In rating battles, players will earn or lose rating points, move between leagues, and go up and down the leaderboard. For clan players, leaderboards are introduced. To get onto the leaderboard, clans will have to earn Cups in tournaments. 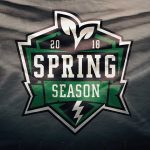 The best clan of the season will be rewarded. The French keep dominating the battlefield! 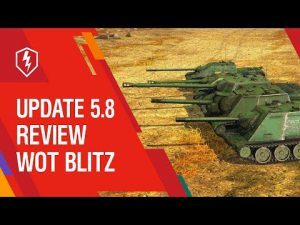 A new branch of French tank destroyers rushes into World of Tanks Blitz! The initials tiers serve for familiarization and warm-up: low dynamics, small single-shot damage, easy gameplay. At Tier III, you meet the unique Renault UE 57, boasting the best concealment in the game. You’ll have to get the knack of driving Tiers IV and V. Huge, clumsy, with average armor, they, however, boast perfect armament. Large-caliber top guns will quickly send your enemies back to their Garages. 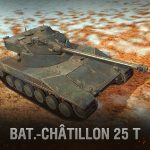 Tier VI-VIII French vehicle gain some speed and armor. Good dynamics, accurate and penetrating guns, the ability to deflect enemy shots – a good combination for a successful game! The top tiers are formidable opponents. With their thick front armor, large-caliber guns, and the ability to quickly reach any point on the map, they provide perfect support for their team. The new branch is diverse and interesting. Every player can find a vehicle to their liking here.